Ulster's new All Blacks signing Charles Piutau has agreed a one-season deal with English Premiership side Wasps. 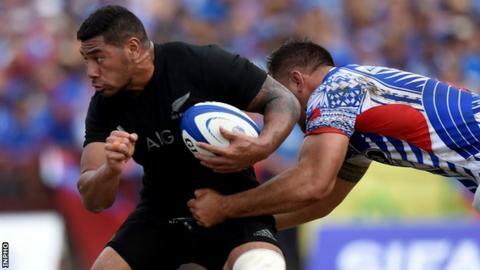 The 23-year-old utility back, who will join the Pro12 side next July, will play for Wasps in 2015-16 after being omitted from New Zealand's World Cup squad. Ulster are not in a position to include him on their roster for this season as their foreign allocation is full. Piutau, who played for Auckland Blues, has won 17 New Zealand caps. Ulster announced his signing in April in a surprise move, Piutau having been expected to re-sign with Blues and New Zealand Rugby.